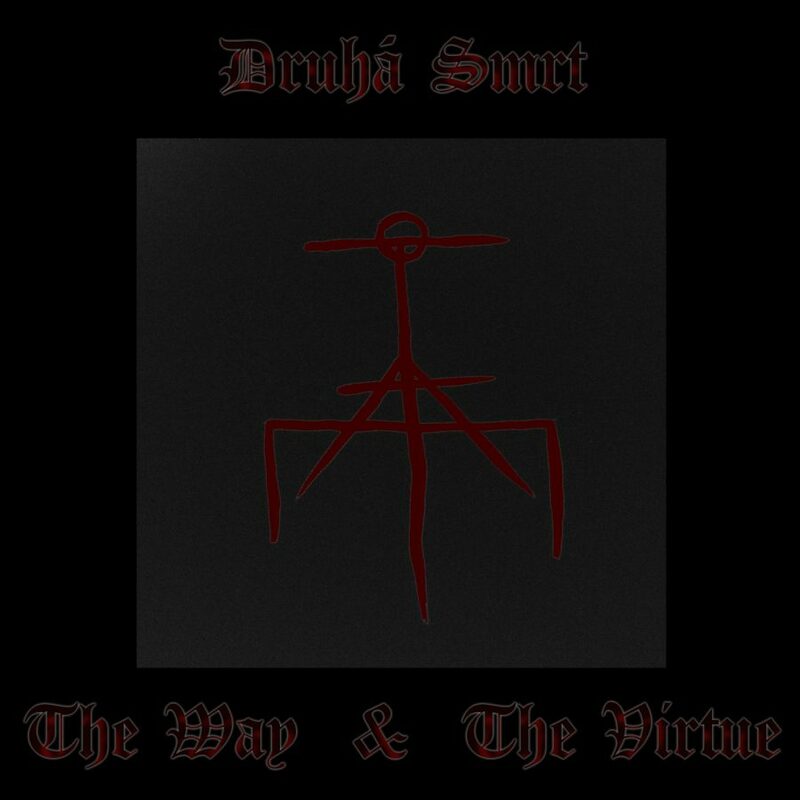 Druhá Smrt have been one of my favorites in dark ambient for years now. Their sound is distinct and quite different from the majority of dark ambient artists. They seem to be reminiscent of early Cold Meat Industry acts, using a combination of guitars, drums and vocals to accompany their dark ambient-esque drones. The effect is ethereal, dark and mystifying. Druhá Smrt produce an atmosphere that brings forth visions of devastated cathedrals, a religious overtone with an ever present sense of decay. Last year they released Mythologem on Sombre Soniks giving listeners one of the most accomplished albums on the label to date. This year they return again to Sombre Soniks with two long-form tracks, coming in at exactly 31 minutes total. The Way and The Virtue sticks to the framework generally produced by Druhá Smrt. There will be few surprises here but the consistency of high quality sounds holds strong. “The Way” uses a heavy dose of instrumentation and vocals to build an intricate wall of sounds which are generally easy on the psyche. The slowly evolving guitar work complements the gentle use of ritualistic styled percussions perfectly. The vocal arrangements will be nothing surprising to longtime fans of the project. Apocalyptic atmosphere abounds as the drum section reverberates as if signaling a coming storm, thundering on the distant horizon. The chimes and bells throughout the track hold the religious elements in place. The subtle use of drone melts almost seamlessly into the background. “The Virtue” is quite similar to its predecessor. It serves as a continuation of the same themes, rather than the end of one and the beginning of the next. There are slight changes in the arrangement. The drones become a bit more pronounced. The guitars take a slightly bolder route. Yet the percussion and vocals stick almost exactly to the delivery of “The Way”, with the addition of the occasional vocal segments from Lucie, whom usually focuses mostly on the visual elements of the project. Her feminine voice is a nice complement to the deep and bassy vocal style of Jindrich. Anyone familiar with Druhá Smrt will likely be pleased with, but not surprised by this release. This is as good of a place as any for new listeners to experience the dark and religious stormy soundscapes of Druhá Smrt. While I can’t find much innovation here, the album is highly immersive and always enjoyable. It is active enough to keep a dedicated listener entertained, but subtle enough to be the background to late night reading sessions. I would be happy to see a bit more experimentation next time around, but that in no way negates the highlights of this solid release.